HALLANDALE BEACH, Fla. - Hunger is a reality for millions of children. In South Florida alone, an alarming one in four kids go to bed hungry. These children are food insecure, which means they don't know from where their next meal will come. Monday through Friday, they have access to school meals. The weekends are an especially critical time. "We have some of the wealthiest zip codes. We also have some of the poorest zip codes, so it's important to let folks know that this issue does exist in their own backyard," said Sari Vatske, vice president of community relations at Feeding South Florida. In an effort to close the weekend meal gap, Local 10 launched "Food for Thought." Research shows food insecurity leads to health complications which can result in poor attendance and performance in school. Local 10 approached the Ford Motor Co. 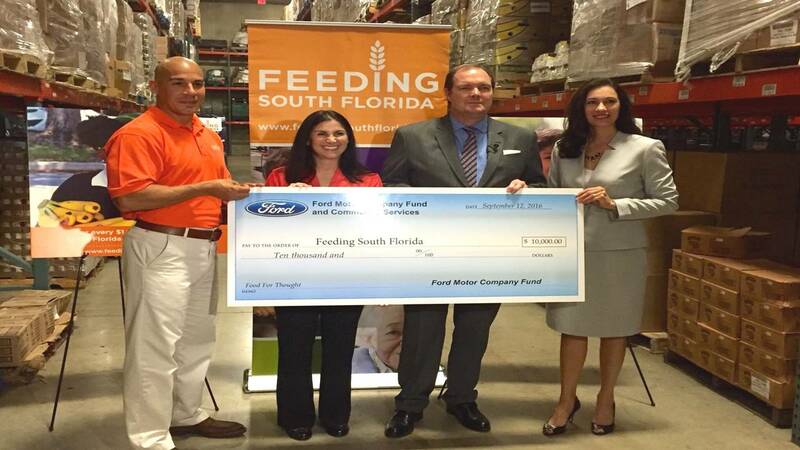 Through its Ford Fund, the company donated $10,000 to Feeding South Florida for the nonprofit to buy, pack and deliver much needed meals to schools and organizations serving needy children. "It costs us just about 14 cents a pound to move some food," said Vatske. "A gift of $10,000 really means so much to 60,000 kids throughout our service area." "We are so fortunate to be working with groups who can get this money to the right people so as a company this is very important, giving back," said Patrick O’Neill, regional sales and service manager for Ford Motor Co.
"Doing little things can mean great things to other people and the more you can do the better off everyone will be," added O'Neill. 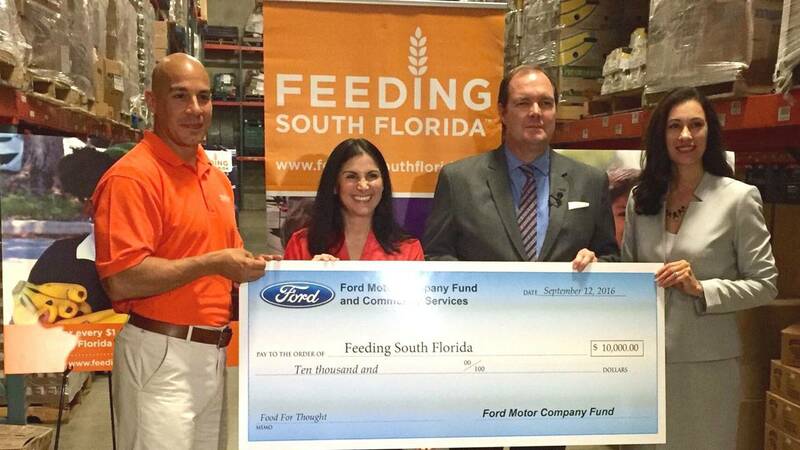 For more information, please contact Feeding South Florida at 954-518-1818 or contact@feedingsouthflorida.org.